Your clients are the single most important part of your business. But different businesses need to know different things about their clients. 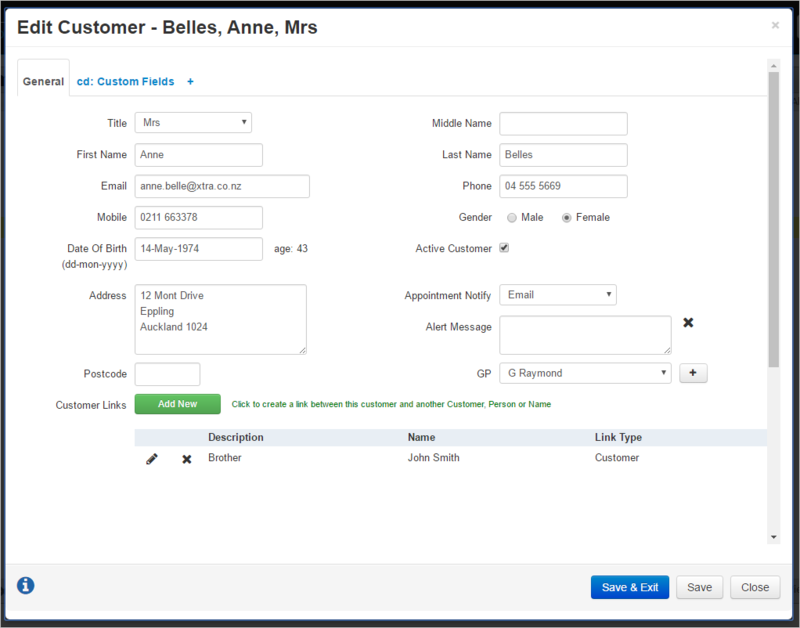 Beyond the obvious things (like name, address and phone number) we provide a flexible client database structure that lets you record as much or as little about your clients as you need. You can manage your client base and control the information you wish to store. Report and review on your preferred terms. When you have recorded information about your clients it’s important that it’s easy to see and review. That’s where the our Customer Dashboard comes in. Here you can see (and update) every aspect of your client. You can see client details, appointments and notes. 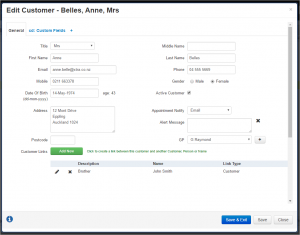 View and create tasks related to the client and check their billing and payment history. All on one page and at the click of a mouse or tap of a finger. Help your consultants manage their day. The Consultant Dashboard displays a day’s information for a consultant on one page. They can see their scheduled appointments, access client details, enter consultation notes. Raise and print an invoice for a consultation. View your clients appointments for the day, who they’re to be seen by and where.